Home Toolkit How To What is a Fashion Lookbook and How to Create one? A fashion lookbook is a fashion catalogue of well-styled images that convey the essence of your brand through creative storytelling. Creating your fashion lookbook should be a natural occurrence for a creative. Wanting to tell your story and market your products to the public is all part of building your brand. Brand- building is all about weaving stories to engage your audience. In the highly visual world of fashion, how you communicate your design ideas is extremely important. Once you have perfected the design process, product development and sample making, your marketing should begin in earnest. Catching the eye of important buyers, press and potential customers can be done in many ways but the most effective is to send out a lookbook. With this fashion catalogue of well-styled images, you will be in a better position to sell yourself in a professional manner. 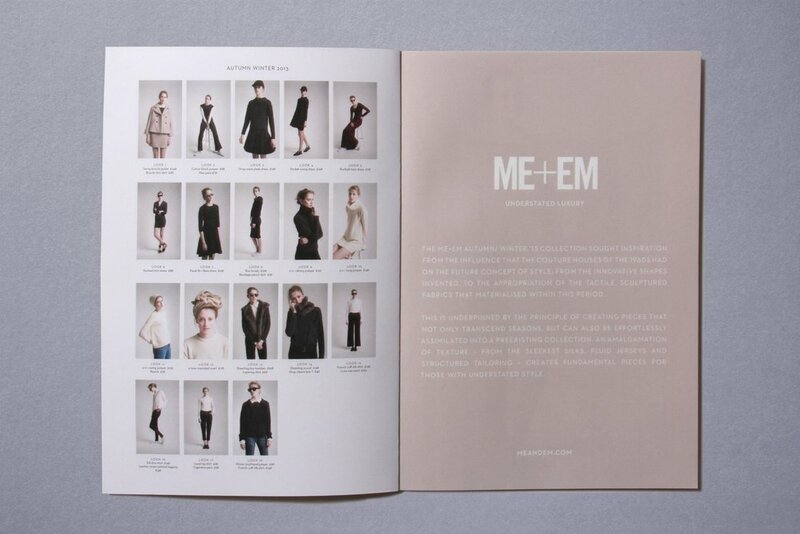 The lookbook conveys the essence of your brand through creative storytelling and works in a multi-functional way. It shows your products on models, in a stylised setting, and serves as an excellent marketing tool. Find fashion experts who can bring your ideas to life. It expresses the lifestyle of a brand to buyers, aided by props that resonate with your aesthetic. It’s also a useful method of following up with your customers by reminding them to visit your shop, should you have one. Example of a foldable paper printed lookbook. Where Can You Create Your Fashion Lookbook? While we love a glossy and tactile paper experience, society’s reality is now digital. Therefore, both the print and digital versions of a lookbook are relevant. It’s important to differentiate between the hard copy and the digital version. If you’re doing a pop-up store or trade show a printed version would be useful to hand out to potential customers. Browsing through a paper hard copy is a luxurious experience – turning from page to page, feeling the quality of the paper, is a treat. However, once it has been seen it tends to get tucked away and forgotten. Worse even – thrown out. The beauty of a digital version, on the other hand, is that it’s perfect for sending out via email quickly should an editor or buyer request it. It is also not limited to still images – it can include a video or some animation. Making it more interactive will entice the viewer and draw them into your world furthermore. A digital fashion lookbook can be cropped to smaller size videos and be shared through your various social networks at the touch of a button. The costs incurred for a digital lookbook are much lower than its printed counterpart. A line sheet is a sales tool created with the sole purpose of helping retail buyers to place orders of your designs. They are basic and are meant to answer any questions that the buyer may have, at a glance. They should contain style names, season, wholesale prices, size runs, available colours/patterns, materials, and suggested retail prices (though keep in mind, if your target market is North America, that including retail prices in linesheets is not as common as it is in Europe). The images used in them are called “still shots” and these should be taken against a plain background, preferably white, without any models present. Fabric swatches should also be included in the linesheet. A branded fashion lookbook, on the other hand, should be used to promote your brand aesthetic. Considering that you will probably produce a lookbook every season, it’s important to keep your Brand Identity consistent, with a story that flows. It can contain well-styled editorial images and be as conceptual as you desire. In order to make an immediate impact, it would be wise to work with professional photographers, models and stylists, as these images often provide the first impression before an editor or buyer sees the collection in person. Creating a fashion lookbook – regardless of its format – doesn’t have to be an expensive undertaking. If you’re featuring clothes then your greatest expenses could / should be a photographer and model. Using a good photographer will ensure that your images are professionally executed with post-production work such as image retouching included in the price. Selecting a confident, professional model is very important as they will move well in the clothes and feel at ease posing in front of the camera. However, if your budget doesn’t stretch to hiring models, no matter the cost, consider collaborating with students and friends, to begin with. Or if you are organised enough and plan ahead, you can easily find other young professionals who may be looking for a body of commercial work to include in their portfolios. Creating such a group around your project can be a nice and cost-effective way for stylists, model, photographer and designer to all benefit and leverage the project for future leads and gains. The following information should help you on your way to creating a slick lookbook that is well produced and looks expensive. a) Select your design software. The Adobe Suite (Photoshop, InDesign, and Illustrator) is the best. If, however, you don’t have access to them or to the expensive services of a designer, don’t despair. 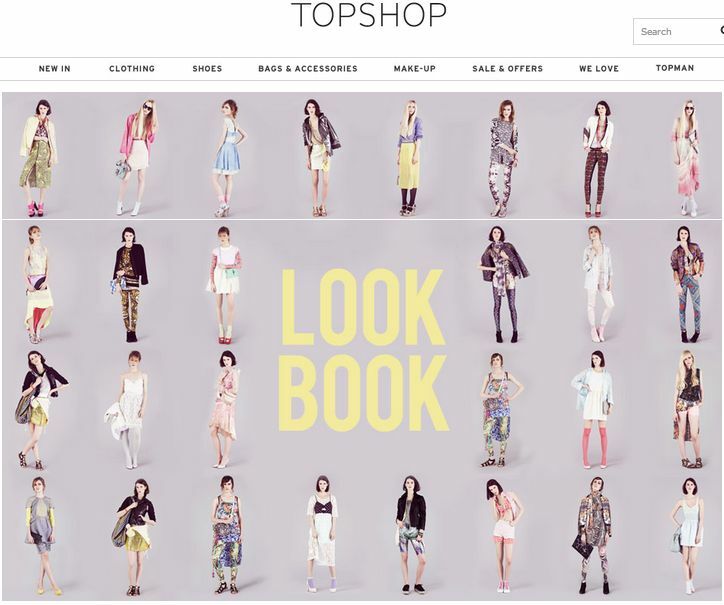 There are lots of free shareware and online apps that can help you design your lookbook. Shareware like GIMP, Inkscape, and Photoshop can help you get the job done for free. These sites come with either a User Manual or Support Forums for you to learn how to use them. Being familiar with the full version of Photoshop would help you immensely. When setting up your files, be sure to have them set to CMYK at 300dpi in PDF format and saved as Press Quality for printing, or have them set to RGB at 72dpi in PDF format for publishing online. Another easy way to get your lookbook made visually stunning and easily is to use Canva online. b) Create a storyboard, by hand, with sketches in order to define your vision of how you’d like the lookbook to look. Don’t worry about the content at this stage but do figure out where you want your page title, images and paragraphs placed, as this is a key step in the design process. At this point, you’re creating the look and feel of your lookbook with article spreads, a shopping section (if you’re including one) and the cover. c) Decide on the size of the printed version: Consider the size of the printed version at this point. Bear in mind that there are standard sizes for printing hard copies. Doing something unusual while it may look memorable, it will without a doubt also add to the cost. Speak to a printer before you decide on a size and start formatting your images. Take advise on which size is the most cost-efficient to print. Millimetres of difference in the size can result in larger paper wastage and therefore much higher costs to you. Not to mention if you plan on giving these out in an envelope – finding an envelope to fit an unusual standard printed catalogue will be near impossible. d) Lastly, make sure to contact a few local printing companies for competitive quotes, be sure to see and select the paper and agree on the final finishing of the print. With the online version, you have more flexibility, as it will automatically format to standard PDF size. Location: Shop around for the best location that will suit your theme to do your photographs. You could be considering using an art gallery, or the grounds of a stately home. Enquire as to whether there will be costs associated with using these facilities. Whatever you’re showcasing, whether it’s clothing, footwear, handbags or jewellery, consider including a mix of stills shots alongside model shots as this shows variety and depth. Studio: Your stills shots should be done in a studio setting with the correct lighting. Consider setting up a studio at home and borrow lighting if your budget doesn’t stretch to using a photographer for this additional shoot. Product information: Gather product information and start to write your copy. Are you telling a story, through text that sits alongside your imagery? Your product descriptions should be 30-60 words long. Show all options for each product but reduce their size to at least a third of the main image. SEO Details: Ensure that your copy is optimized so that it will be found in internet search engines. Highlight your key points on the cover and be sure to always include your contact information. Hire Professional: If money is no object you could consider using a stylist/art director and make-up artist, in addition to a professional photographer. This would provide you with super slick photographs. After the time, effort and expense involved in creating a lookbook, it is important that you get as many eyeballs on the lookbook as possible. a) Aside from giving a hard copy catalogue out as part of your press and sales campaign, you can also include a copy as part of the customer packaging when you make a sale. Digital versions also have any ways of distribution. b) Attaching a copy to follow up emails is a useful way to allow press and buyers to save a version of it and perhaps keep for longer. c) Depending on your website hosting platform, you can easily (in most cases) embed into your site and features auto-turning pages that elevate your brand’s fashion lookbook. Alternatively, consider using ISUU for sharing your lookbook online. This platform lets you publish your lookbook, hosts it online, and also allows you to convert it into a presentation, which can be shared via email. Creating a fashion lookbook is an exciting enterprise, with lots of different elements to get right. Keep on top of things by compiling a to-do list, which includes everything required to make your job run smoothly. Previous articleHow to Select the Best Fashion Fair to Show at?